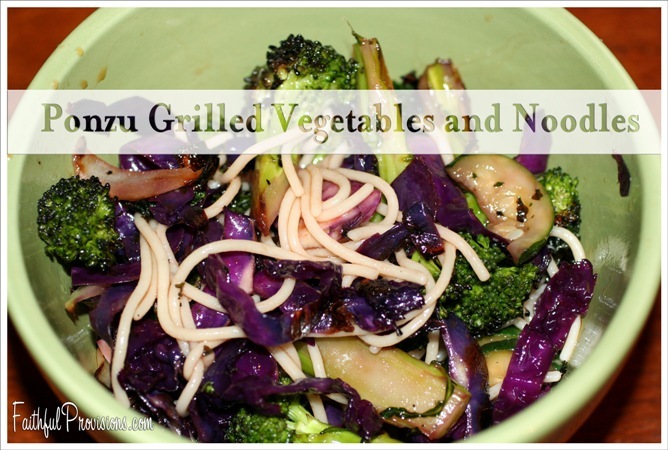 Grilled vegetables are really my all-time favorite. Since we have begun eating more healthy foods, I’m really upping the amount of fresh foods that I include in my meal planning. I find that recipes for vegetables on the grill add so much flavor, even without any type of added seasoning. This grilled vegetable recipe is definitely one that I go to often because you can change up the vegetables you are grilling with whatever is in season. You can see in the picture that I simply used what I had on hand this summer from my CSA box. Be creative when you are grilling vegetables. Another way to make any grilled vegetables recipe your own is by switching up the sauce you use. What flavor? Bottled or homemade? As you can see, there are endless combinations so you are sure to create a unique dish for your family. That’s the beauty of using grilled vegetables. I choose not to season at all, just make a big batch and then add sauce according to whatever flavor and seasoning I’m in the mood for. Take vegetables and toss with oil, salt and pepper to taste. Toss with noodles and ponzu sauce. You can create individual servings or left everyone help themselves from a pretty platter or large serving bowl.